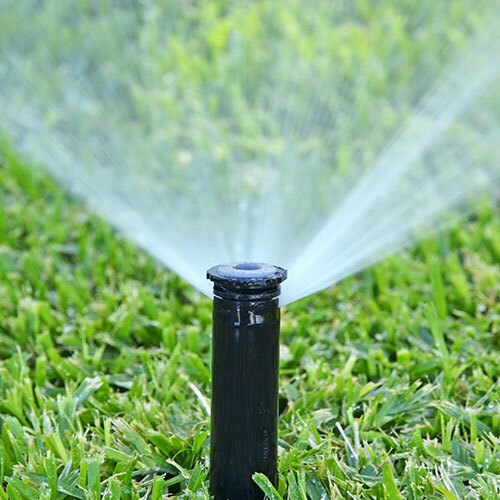 Woodys Lawn and Landscape has installed and repaired in-ground sprinkler systems in Lincoln, Bennet, Palmyra, Eagle, Hickman, and Firth since 1992. Instead of worrying about whether or not your lawn and landscaping have been watered, add a sprinkler system that you can set and forget! 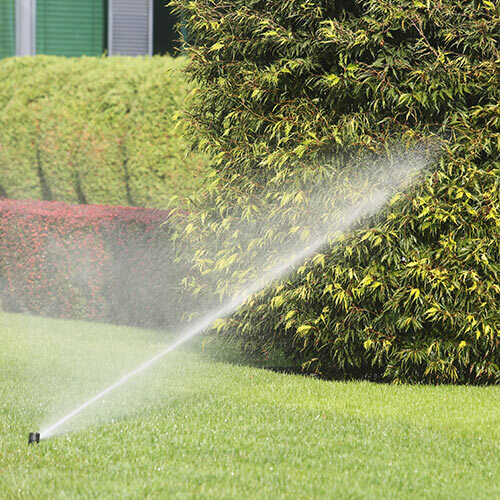 One of the best ways to ensure that your lawn and landscape looks just the way you want throughout the year is by adding a sprinkler system to your home or business. With a Rain Bird in-ground sprinkler system, you can take the worry out of keeping your plants, trees, and grass well fed during the spring, summer, and fall. 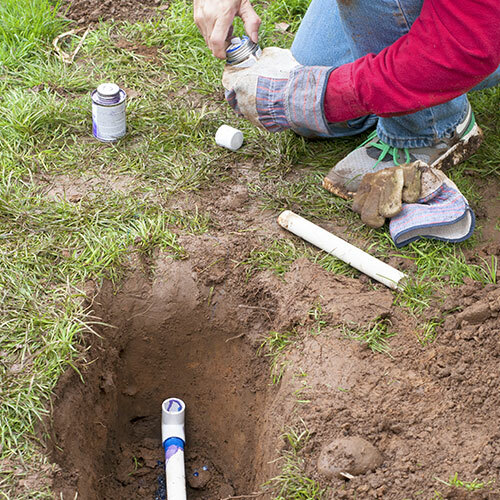 Our team determines the proper sprinkler location, spray angle, and direction for all sprinkler heads, as well as the best track for pipes to be laid down to minimize the chances of disturbing roots and existing plants. Want more information about what Woodys Lawn and Landscape can do to improve your yard? Send us a short message or give us a call today, and we’ll set up a free initial consultation! Our team is always ready to help. Before you head into the cold winter, let Woodys Lawn and Landscape take care of winterizing your sprinkler system to combat freezing temperatures! What exactly does this entail? Water & System Shutoff: We handle the process of shutting off the water supply from inside and outside your home, as well as the control system for your sprinklers.  Water Blowout: After ensuring the system is shut down, we use high-powered air compression to clear the water lines and sprinkler heads of any standing water. This prevents any water from being left behind to avoid freezing and burst pipes, which can be a costly and time-consuming fix. Final Inspection: After clearing each sprinkler zone, we do a final check to ensure no current issues exist. Depending on the emergence of issues and their severity, we then discuss immediate fixes or determine a repair schedule for the following spring. If you’d like to install a new sprinkler system or need winterization services, give us a call at (402) 488-4775 or send us a quick message today. Our team is always ready to help!